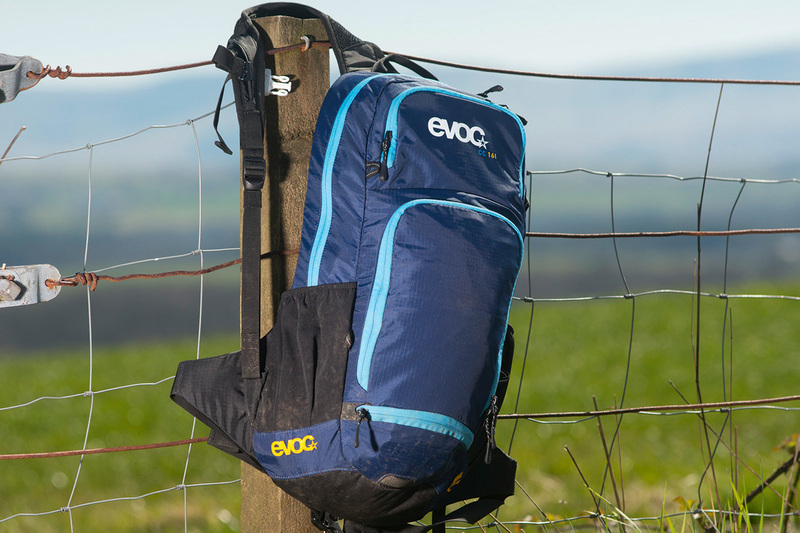 Evoc has been producing reliable and well-made packs for years. The excellent strap system just clamps on and doesn’t slide around once cinched down. 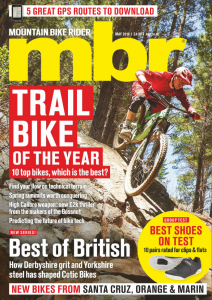 As a result these packs are very popular with the enduro crowd. This is also down to the wide back coverage, and hefty waist belt, which also makes it very comfortable with no rubbing or hot spots. Gear placement was second to none, with pockets that zip all the way round and open fully to give access to the contents inside — everything is arranged neatly in well-sized elasticated mesh dividers. We would rather see the hydration compartment separated from the main contents, but at least the pocket is generous, which helps when manipulating that floppy bag of water back in when the bag is rammed. There are no compression straps, but in this case the slim design means they aren’t essential. A pair of elasticated pockets on either side swallowed our tubes and other small bits, a fleece-lined phone pocket was easily accessible and a helmet retainer zipped out from the bottom of the pack to finish the main features. A good hardy pack, well-balanced for technical riding.